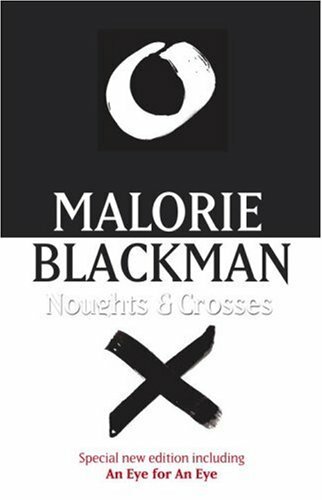 Originally published back in 2001 in the UK, Noughts & Crosses is the first book in a series by British author Malorie Blackman. I first encountered it as part of the Young Adult Reading Group (YARG) over at Readerville. It was chosen as one of our monthly selections and a dear friend of mine actually picked up copies for several of us while she was in England and mailed them out so we would have time to read them before the discussion. Those were just the kind of people that filled the YARG in those days. Sometimes I miss them all so much it hurts. But my copy (pictured above left) came just in time to take it to Italy with me to visit my parents. And I read it while sitting on their terrace watching the waters of the Mediterranean lap the shore below. When I got back, we had a marvelous discussion and pondered as to why it hadn't been published here in the states. It took four more years for it to come out in hardback in the U.S. (pictured above center), and I quite like the U.S. cover, even if they did change the spelling of noughts to naughts. A couple of years after that the U.S. paperback was released with a different cover and, strangely, a different title (pictured above right). Personally, I'm not a fan of the most recent cover or title. Why mess with something as awesome as Noughts & Crosses ? Why talk down to American teenagers just because they might not be aware that in England Tic-Tac-Toe is known as Noughts and Crosses? It's beyond me and I'll hang onto my hardback and UK copies, thank you very much. Sephy and Callum are best friends. As kids they don't see any problem with a girl from the privileged Cross class playing with a nought boy from the wrong side of town. And their parents let things slide for reasons (or secrets) of their own. But as growing teenagers, Callum particularly is highly aware of the differences in not only their skin tone, but their education, opportunities, and circumstances. Sephy doesn't want anything to change. She wants to go on tutoring Callum in maths, roughhousing with him on the seashore, and crossing her fingers he gets accepted to Heathcroft High and will maybe be in some of her classes. But Callum walks home everyday to his hovel of a dwelling place and watches the hope in his parents' eyes slowly die. He watches his older brother Jude grow angrier and more volatile by the day. And he watches his sister Lynnette draw farther inside of herself, so that even the family can no longer tell how much of her is left anymore. But Callum does get into Heathcroft. And he and Sephy do strive to keep their unsightly friendship alive. And things, both inside and outside of them, grow more and more complicated just as they grow more and more beautiful. Until one day the pressure becomes too much and something happens that threatens to blow the whole fragile relationship into infinitesimal, unrecognizable pieces. Set in an alternate, present-day England, Noughts & Crosses explores what the world would look and feel like if the ruling class were black and the oppressed, subservient class white. The two main characters--Sephy and Callum--each belong to one "side" and the crux of the problem arises as they grow up and continue to reach out to each other across enemy lines. I won't lie to you--this dystopian Romeo & Juliet setup worried me in the beginning. I felt like I'd read it before, like it would come off as impossibly melodramatic and tired. But from the very first page it was apparent that such was definitely not the case. 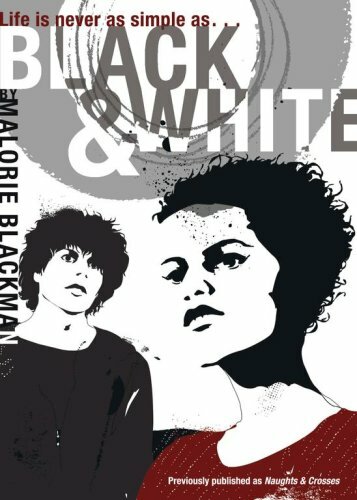 As unlikely as it may seem, everything about this story feels new and every passage seems chosen and placed carefully for proper effect as Ms. Blackman swiftly and impressively navigates the deep, gray waters of racism and adolescence amid a stifling society at large. Sephy and Callum are easy to like, their personalities are distinctive and strong, and nothing, repeat nothing is easy. But my emotions were captured instantly and held for the entire, intense and heart-palpitating read. We walked into the downstairs room. Lynette and Dad sat on the sofa. Jude sat at the dinner table poring over what looked like a map--not that I was particularly interested. Mum sat down next to Dad and I sat next to Lynette. It was a squash but a cozy squash. I looked at my sister. "You okay?" Lynette nodded. Then a slow-burning frown spread out over her face. And that look was back in her eyes. My heart plunged down to my shoes and bounced back up again. Please, Lynette. Not tonight . . . not now . . .
"Lynny, d'you remember my seventh birthday?" I began desperately. "You took me to see my first film at the cinema. There was just you and me and you got annoyed with me because I wouldn't take my eyes off the screen, not for a second. D'you remember you told me that I could blink because the screen wasn't about to vanish? Lynny . . . ?" "Why am I here?" My sister's troubled gray eyes narrowed. "I shouldn't be here. I'm not one of you. I"m a Cross." My stomach lurched, like I was in a lift that had suddenly plunged down at least fifty stories in about five seconds flat. Every time I convinced myself that Lynette was getting better, she'd get that look on her face . . . She'd stare at us like we were all strangers and she'd insist she was one of them. "What're you talking about? You're a naught," Jude said with scorn. "Look at your skin. You're as white as the rest of us. Whiter." "Jude, that's enough," said Dad. "No, it's not. I'm fed up with this. Keeping Lynette in this house so she won't embarrass us by telling everyone she's a Cross. She's barking mad, that's what she is. And Callum's just as bad. He thinks he's better than us and as good as the Crosses, even if he doesn't say it." "You don't know what you're talking about," I hissed. "No? I've seen you looking up at this house when you've come back from your dagger friend. I've seen you hating it and hating us and hating yourself because you weren't born one of them," Jude spewed out. "I'm the only one of the three of us who knows what he is and accepts it." "Now listen here, you brainless--"
Jude sprang out of his chair, but only a couple of seconds before I did. "Come on then, if you reckon you're hard enough," Jude challenged. I stepped forward but Dad got between the two of us before I could do little more than clench my fists. "See?" Lynette's small, puzzled voice rang out as clear as a bell. "I don't behave like that. I can't be a naught. I just can't." All the fight went out of me. Slowly, I sat back down again. "Listen, Lynette . . . ," Mum began. "Look at my skin," Lynette spoke as if Mum hadn't. "Such a beautiful color. So dark and rich and wonderful. I'm lucky. I'm a Cross--closer to God . . ." Lynette looked around at all of us and smiled. A broad, beaming, genuinely happy smile that lit every line and crease on her face and squeezed my heart. "That's enough!" Dad shouted at him. Jude sat, a sullen, brooding look on his face. Lynette looked down at her hands, stroking one over the other. I looked too. All I could see were pale white hands, blue veins clearly visible through the almost translucent skin. She looked up at me and smiled. I smiled back. Forced it really, but at least I tried. "Don't you think I'm beautiful, Callum?" Lynette whispered. "Yes," I replied truthfully. "Very." Make no mistake. This book will wring your heart out. You'll need to breathe a few times rather deeply when you're finished and I wouldn't advise winding it up in public. But it's utterly worth it, a not-to-be-missed hidden gem from the wonderful Malorie Blackman. I love your review and the extract that you chose. That is a seriously awesome excerpt. Wow. I've never, ever heard about this book before - but I'm with you on why did they ever change the title and cover? The others are perfect and I'm thinking I really need to give this one a try. I still need to read this! Thanks for the review. Emily, I've had it on my list of books to feature for a Retro post and then your review made me bump it up for today's. I love this story and wish it got circulated around more. Pirate, good. I'm glad to spread the word on such a great book. Hope you enjoy it when you do get to it. It's a riveting read. Michelle, yeah, that scene was the one that put the nail in the coffin for me. I was gone from there on. I seriously think you'll love this one. Wow, this book seems so intense! I will keep it mind when looking for a new book to read. Stumbled upon your blog through Sarah Rees Brennan's link to your interview. Hey Angie! Just to let you know, I've read and reviewed LINGER over on my book blog and thank you so much again for the ARC :) I had a wonderful time reading it, and I can't wait for the third book! Chachic, intense is definitely the word! Sarah, welcome to the 'Ville! It could have been the high expectations thing. I went in not knowing anything at all and was surprised at how intense it was and how involved I became in their lives. Particularly Callum's. I loved how nothing was simple and how you love and hate sone characters at the same time. I wouldn't categorize the writing as stunning but I personally enjoyed it very much and thought about the issues raised in it long after. I love this book and I love this blog, Angie. It's wonderful and your header's so bee-yoo-ti-ful! I personally found the sequels to Noughts and Crosses a lot less appealing, but the first is amazing! I love this feature! I like to have the chance to delve into the archives of a blogger. I haven't read Noughts and Crosses, but want to. Thanks! I absolutely *LOVED* this book - review on my blog if you're interested in reading it - It was a Top 10 read of 2009 and will remain one of my all time favourite books. I have read the others in the series and although they are not as brilliant as N&C, they are all good and still profound. I agree with you about the covers and title - why mess with something that works so well? I'm so pleased you were as affected by this book as I was. The ending was heartbreaking and practically did me in! Book Chick, awesome! I read your review and am so glad it worked for you. And that ending....seriously. Worked me over. 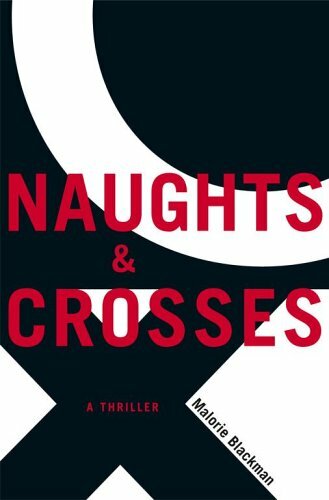 Your review taught me something new, I had no idea as to why the book was called Naughts & Crosses. Now I know it's because that's what England's Tic-Tac-Toe is called! I actually felt the whole book was melodramatic :0 I didn't care for the writing style and everything that could have gone wrong, went wrong. Plus I felt like I had heard the whole story before. But I'm glad you liked it. I enjoy reading other reviews of books I didn't like, that other people liked, they are very interesting.